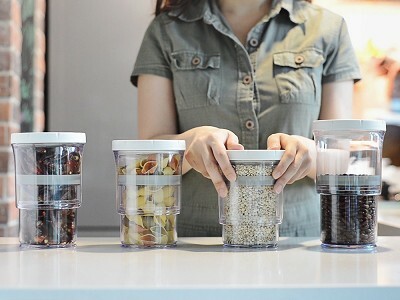 Airtight food storage containers come in all sizes—sizes that are often too big for what you need, leaving lots of empty space inside and lots of wasted cabinet space. As an interior designer, this was a problem Terence Myers saw quite often but as a product designer, he knew he could fix it. 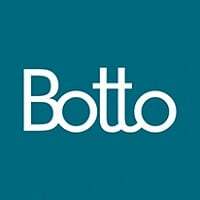 After two years of hard work, he and the team at Botto Design developed adjustable storage containers that shrink down to the size you need with one easy move. As you press down, the excess air is removed through the one-way valve. 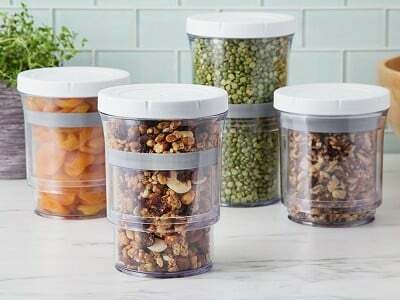 Less trapped air means things like cereal, grains, snacks, and even pet food stay fresh longer and you get more space in your cabinets. How many ounces can the container hold? You can adjust the capacity between 16 oz. and 32 oz. Yes. 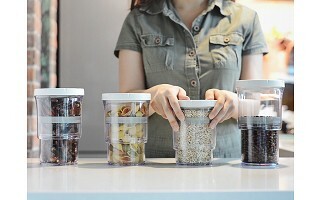 It is constructed of FDA-grade, food-safe, BPA-, and phthalate-free materials. Is it dishwasher, freezer, and microwave safe? No, the container is not freezer or microwave safe. Hand washing is recommended, though the containers are top rack dishwasher safe. It is not recommended to store the container in the freezer. Extreme temperature changes may weaken the one-way air valve. 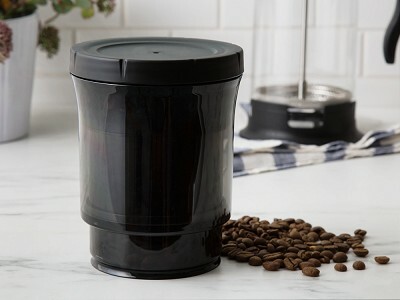 Can I store liquid in the container? 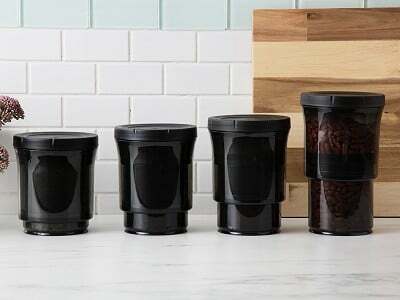 The container is recommended for dry goods. It's not recommend to store liquid in it as liquid may come out from the one-way valve when you press it down.